Çikolata üretiminde pre-kristalizasyon prosesi, konvansiyonel olarak yüksek sabit yatırım maliyeti gerektiren ekipmanlar kullanılarak çok aşamalı ısıl işlemler ile yürütülmektedir. Uygun olmayan temperleme işlemi başlıca çikolata kalite kusurlarından olan yağ çiçeklenmesi ile sonuçlanmaktadır. Tohumlama adı verilen alternatif temperleme işlemi ise, çikolata ve/veya kakao yağından elde edilen bV ve/veya bVI kristal tohumların çikolataya ilave edilmesi sonucu gerçekleştirilebilir. Bu çalışmada, prebiyotik lif olarak 9.00 g/100 g düzeyinde inulin (DP<10) ve probiyotik aktiviteye sahip L. acidophilus içeren bitter çikolatalarda farklı düzeylerde (0,50-1.50 g/100 g) tohum kristal (bV) kullanımının başlıca kalite parametreleri ve probiyotik canlılıktaki proses stabilitesi üzerine etkisi incelenmiştir. Konçlama prosesi sonrası 9.00 log CFU/25 g düzeyinde probiyotik ilavesi gerçekleştirilmiştir. Probiyotik canlılık düzeyinde proses kaynaklı yaklaşık 0.50 – 1.50 log cfu/25 g aralığında kayıp olduğu, prekristalizasyon tekniği olarak tohumlama tekniği uygulamasının, kullanılan tohum kristal miktarından bağımsız olarak probiyotik canlılık düzeyi üzerinde olumsuz etkisi belirlenmiştir (P<0.05). Ancak çalışma kapsamında yeralan başlıca çikolata kalite parametrelerinden su aktivitesi, nem, renk (L*, C*, h°, WI), tekstür (sertlik), reolojik özellikler (akma basıncı (yield stress) ve plastik viskozite) ve duyusal profil için tohumlama tekniği uygulamasının avantaj unsuru olabileceği belirtilmiştir. Probiyotik ve/veya sinbiyotik bitter çikolata geliştirilmesinde tohum kristal ilavesi aşamasında karıştırma süresi optimizasyonu ile daha yüksek probiyotik canlılık düzeyine ulaşılması mümkün olabilir. Pre-crystallization process in chocolate production requires high investment cost and it is employed with multistage thermal processes. Improper tempering process results in fat bloom main quality defect of the chocolate products. Seeding is an alternative tempering process and it is performed by addition of bV and/or bVI seeds, extracted by chocolate or cocoa butter, to chocolate or chocolate products. In the present study, synbiotic dark chocolate was produced by inulin (DP<10) used as a prebiotic fiber at concentarion of 9.00 g / 100 g and probiotic L. acidophilus. Effect of different bV concentrations (0.50-1.50 g/100 g) on the quality parameters and viability of probiotics was observed. Probotic enrichment (9.0 log cfu/25 g) was performed after conching process. During production process, 0.50-1.50 log cfu/25 g vitality loss was observed and application of seeding technique caused to decrease in probiotic level (P<0.05). The other quality parameters, namely, water activity, water content, colour properties (L*, C*, h°, WI), hardness, rheological parameters (yield stress and plastic viscosity) and sensory properties were not negatively affected by seeding technique. Higher vitality level can be obtained by optimization of seeding process such as shear rate.
.	Belscak-Cvitanovic A., Komes Dujmovic M., Karlovic S., Biskic M., Brncic M. and Jezek D., Physical, bioactive and sensory quality parameters of reduced sugar chocolates formulated with natural sweeteners as sucrose alternatives, Food Chemistry, 167 (2015) 61-70.
.	Olinger P.M., New options for sucrose-free chocolate. The Manufacturing Confectioner, 74(5) (1994) 77–84.
.	Sokmen A. and Gunes G., Influence of some bulk sweeteners on rheological properties of chocolate, LWT-Food Science and Technology, 39 (2006) 1053–1058.
.	Konar N., Influence of conching temperature and some bulk sweeteners on physical and rheological properties of prebiotic milk chocolate including containing inulin, European Food Research and Technology, 23 (2013) 135-143.
.	Konar N., Ozhan B., Artik N. and Poyrazoglu E.S., Using polydextrose as a prebiotic substance in milk chocolate-Effects of process parameters on physical and rheological properties, CyTA Journal of Food, 12-2 (2014) 150-159.
.	Konar N., Ozhan B., Artik N., Dalabasmaz S. and Poyrazoglu E.S., Rheological and physical properties of ınulin-containing milk chocolate prepared at different process conditions. CyTA Journal of Food, 12-1 (2014) 55-64.
.	Melo L.L.M.M., Bolini H.M.A. and Efraim P., Storage time study of sugar-free and reduced calorie milk chocolates. Department of Food and Nutrition FEA, UNICAM Campinas, Brazil, CEP (2008) 13083-130862.
.	Afoakwa E.O., Paterson A. and M. Fowler M., Factors influcing rhelogical and textural qulities in chocolate- a review, Trend in Food Science and Technology, 18 (2007) 290-298.
.	Dhonsi, D. and Stapley A.G.F., The effect of shear rate, temperature, sugar and emulsifier on the tempering of cocoa butter, Journal of Food Engineering, 77 (2006) 936-942.
.	Glicerina V., Balestra F., Rosa M.D. and Romani S., Rheological, textural and calorimetric modifications of dark chocolate during process, Journal of Food Engineering, 119(1) (2013) 173-179.
.	Afoakwa E.O., Paterson A., Fowler, M. And Vieira J., Particle size distribution and compositional effects on textural properties and appearance of dark chocolates, Journal of Food Engineering, 87 (2008) 181-190.
.	Dahlenborg H., Millqvist-Fureby A. and Bergenstahl B. Effect of shell microstructure on oil migration and fat bloom development in model pralines, Food Structure, 5 (2015) 51-65.
.	Debaste F., Kegelaers Y., Liegeois S., Ben Amor H. and Halloin V., Contribution to the modeling of chocolate tempering process, Journal of Food Engineering, 88 (2008) 568-575.
.	Afoakwa E.O., Paterson A., Fowler M. and Vieira J., Effects of tempering and fat crystallization behaviour on microstructure, mechanical properties and appearance in dark chocolate systems, Journal of Food Engineering, 89 (2008) 128-136.
.	Bolliger S., Breitschun B., Stranzinger M., Wagner T. and Windhab E.J., Comprasion of precrystallization of chocolate, Journal of Food Engineering, 35 (1998) 281-297.
.	Konar N., Toker O.S., Oba S. and Sagdic O., Improving functionality of chocolate: A review on probiotic, prebiotic, and/or synbiotic characteristics, Trends in Food Science & Technology, 49 (2016) 35-44.
.	Maillard M. and Landuyt A., Chocolate: an ideal carrier for probiotics. Agro Food Industry Hi-Tec, 19-3 Suppl. (2008) 13–15.
.	Coman M.M., Cecchini C., Verdenelli M.C., Silvi S., Orpianesi C. and Cresci A., Functional foods as carriers for SYNBIO, a probiotic bacteria combination, International Journal of Food Microbiology, 157 (2012) 346-352.
.	Erdem O., Gultekin-Ozguven M., Berktas I., Ersan S., Tuna H.E., Karadag A., Ozcelik B., Gunes G. and Cutting S.M., Development of a novel synbiotic dark chocolate enriched with Bacillus indicus HU36, maltodextrin and lemon fiber: Optimization by response surface methodology, LWT – Food Science and Technology, 56 (2014) 187-193.
. Champagne C.P., Raymond Y., Guertin N. and Belanger G., Effects of storage conditions, microencapsulation and inclusion in chocolate particles on the stability of probiotic bacteria in ice cream, International Dairy Journal, 47 (2015) 109-117.
.	Lalicic-Petronijevic J., Popov-Raljic J., Obradovic D., Radulovic Z., Paunovic D., Petrusic M. and Pezo L., Viability of probiotic strains Lactobacillus acidophilus NCFM® and Bifidobacterium lactis HN019 and their impact on sensory and rheological properties of milk and dark chocolates during storage for 190 days, Journal of Functional Foods, 15 (2015) 541-550.
.	Raymond Y. and Champagne C.P., The use of flow cytometry to accurately ascertain total and viable counts of Lactobacillus rhamnosus in chocolate, Food Microbiology, 46 (2015) 176-183.
.	Konar N., Palabiyik I., Toker O.S., Genc Polat D., Sener S., Akcicek A. and Sagdic O., Effect of Inulin DP on various properties of sugar-free dark chocolates containing Lactobacillus paracasei and Lactobacillus acidophilus. International Journal of Food Engineering, doi: 10.1515/ijfe-2017-0045 (2017).
.	Beckett S.T. The science of chocolate (2nd Ed.) London, Cambridge, UK: Royal Society of Chemistry (2008).
.	Toker O.S., Sagdic O., Konar N., Zorlucan T. and Dağlıoğlu O., Some physicochemical, rheological and melting properties and volatile compound profile of compound chocolate and cocolin samples: Effect of particle size, European Food Research and Technogy, 242-8 (2016) 1253-1266.
.	Lonchampt P. and Hartel R.W., Surface bloom on improperly tempered chocolate, European Journal of Lipid Science and Technology, 108-2 (2006) 159-168.
.	Periche A., Heredia A., Escriche I., Andrés A. and Castelló M.L., Potential use of isomaltulose to produce healthier marshmallows, LWT - Food Science and Technology, 62 (2015) 605-612.
.	Shah A.S., Jones G.P. and Vasiljevic T., Sucrose-free chocolate sweetened with Stevia rebaudiana extract and containing different bulking agents effects on physicochemical and sensory properties, International Journal of Food Science and Technology, 45 (2010) 1426-1435.
.	Beckett S.T. Industrial chocolate manufacture and use, (3rd Ed.). Blackwell, Oxford (1999).
.	Ziegler G. and Hogg R., Particle size reduction, In: Industrial chocolate manufacture and use, Beckett ST. (Ed. ), Chapman § Hall, New York, USA, (1999) pp. 182-199.
.	Maragkoudakis P.A., Miaris C., Rojez P., Manalis N., Magkanari F. and Kalantzopoulos G., Production of traditional Greek yoghurt using Lactobacillus strains with probiotic potential as starter adjuncts, International Dairy Journal, 16 (2006) 52-60.
.	Zaric D.B., Bulatovic M.L.J., Rakin M.B., Krunic T.Z., Loncarevic I.S. 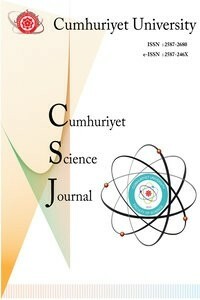 and Pajin B.S., Functional, rheological and sensory properties of probiotic milk chocolate produced in a ball mill, RSC Advances, 6 (2016) 13934-13941.
.	Konar N., Oba S., Toker O.S., Palabiyik I., Goktas H., Artik N. and Sagdic O., Rapid tempering of sucrose-free milk chocolates by βV seeding: textural, rheological and melting properties, European Food Research and Technology, 243 (2017) 1849-1860.
.	Vercet A. 2003. Browning of white chocolate during storage, Food Chemistry, 81 (2003), 371-377.
.	Rossini, K., Norena C.P.Z. and Brandelli A., Changes in the colour of white chocolate during storage: potential roles of lipid oxidation and non-enzymatic browning reactions, Journal of Food Science and Technology, 48-3 (2011) 305–311.
.	Shadwell, N., Villalobos F., Kern M. and Hong M.Y., Blooming reduces the antioxidant capacity of dark chocolate in rats without lowering its capacity to improve lipid profiles, Nutrition Research, 33 (2013) 414-421.
.	Afoakwa, E.O., Paterson A., Fowler M. and Vieira J., Microstructure and mechanical properties related to particle size distribution and composition in dark chocolate, International Journal of Food Science and Technology, 44-1 (2009) 111–119.
.	Aidoo R.P., Afoakwa E.O. and Dewettinck K., Rheological properties, melting behaviours and physical quality characteristics of sugar-free chocolates processed using inulin/polydextrose bulking mixtures sweetened with stevia and thaumatin extracts, LWT - Food Science and Technology, 62 (2015) 592-597.
.	Aidoo R.P., De Clerq N., Afoakwa E.O. and Dewettinck K., Industrial manufacture of sugar-free chocolates- applicability of alternative sweeteners and carbohydrate polymers as raw materials in product development, Trends in Food Science and Technology, 32 (2013) 84-96.
.	Lindecrantz A. Investigation of seedpowder technology for pre-crystallization processing for dark chocolate- Effect on fat crystal structure and storage stability. Master of Science Thesis in the Master Degree Program Biotechnology, Chalmers University of Technology, Gothenburg, Sweden (2014).